We offer international standard semi-enclosed workstation space at Locus for your high productivity. 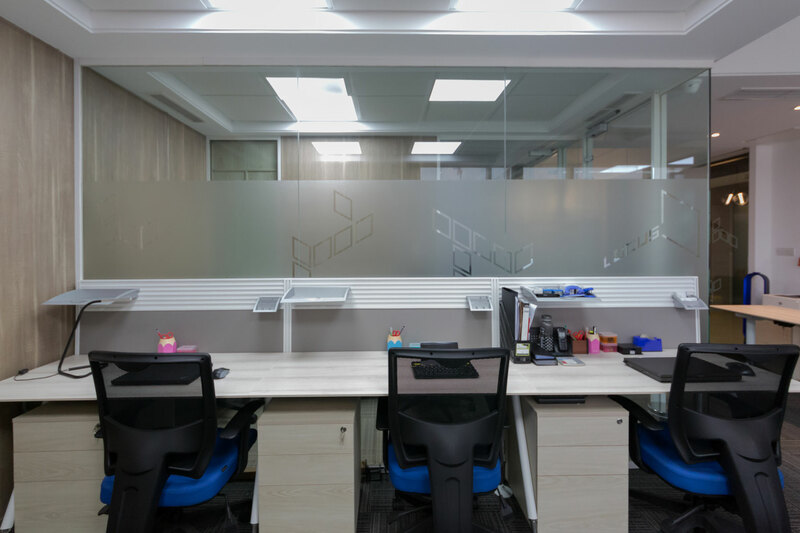 Our workstation spaces can bring you comfort and convenience when working long hours. We guarantee a pleasant experience with our key features like ergonomically designed chairs and desk organisers. We, at Locus, understand that you need your personal space to focus completely on your work. Therefore, we designed a workstation space that will make your personal space pleasant and convenient. First and foremost, you will be able to concentrate fully on an ergonomically designed chair and furniture. Using ergonomically designed furniture, you will be least likely to develop pain and physical injuries in the long run. Additionally, our service staffs always ensure that the noise level is kept to a minimum within your working environment. Furthermore, we understand that a cluttered desk can interrupt your focus. This is why we offer desk organisers and under-desk storage cabinets to keep your workstation space organised at all times. In addition to all this, you can bring and use your devices at your workstation space very easily. You are welcome to use our complimentary Wi-Fi for internet browsing. We apply our full effort in making sure that the internet is fast and available at all times. You will have no difficulties accessing the internet as we have several backup networks. Moreover, you will have a network point, USB charging point and even an optional dual monitor set up at your convenience. You will also find surge protectors to ensure the safety of your devices.